The view of Salt Lake City from the steps of the Utah Capitol. The initiative is called Zero Red Air Days. 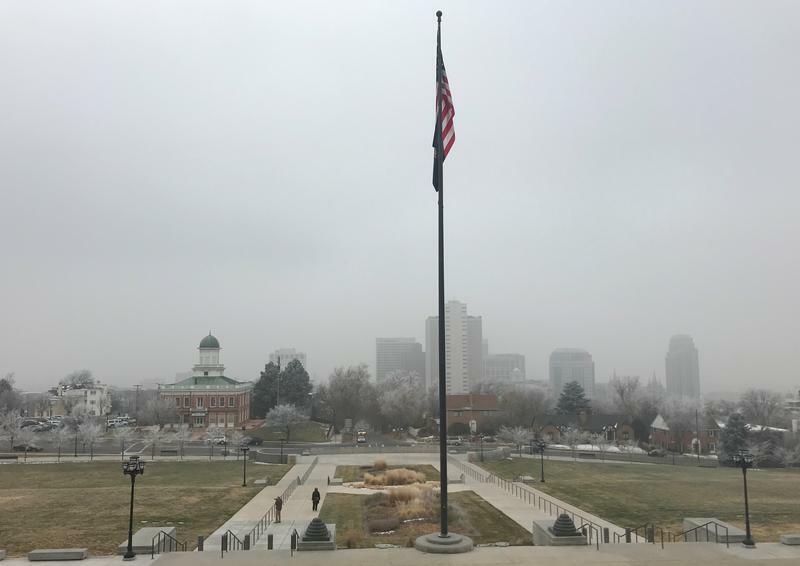 The chamber, which represents businesses around Salt Lake, created it as a way to improve the valley’s air quality and encourage employees to do their part. Kimberley Flores is the director of public relations with the Salt Lake Chamber. She says, while it’s a voluntary effort, promoting local success stories can give Utah employers examples to follow. "On poor air days they can help employees drive less by providing transit passes or other incentives to help employees either not drive or take transit and to carpool instead," Flores says. She says businesses can also keep employees informed of when orange and red air days are in the forecast, offer telecommuting options and install electric charging stations. The current inversion in the Salt Lake Valley is forecast to continue until the weekend when a cold front may push it out.